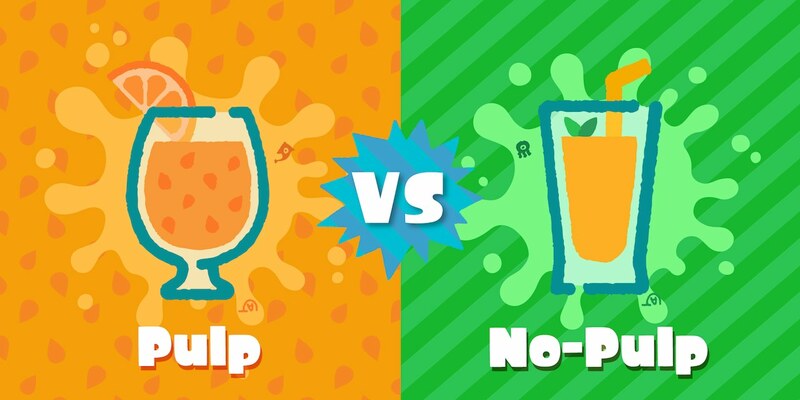 Nintendo has announced when the next Splatfest will take place in Splatoon 2, which will ask you to vote on whether you like to drink orange juice with pulp or no pulp. The Splatfest will take place next weekend meaning that, depending on which region you are in, that will be at some point from Friday 22nd – Sunday 23rd June. For those in the United Kingdom and Europe, the Splatfest will start at 3pm BST (4pm CEST) on Saturday 23rd June. Whereas for those in North America it will start at 9pm PDT on Friday 22nd June.